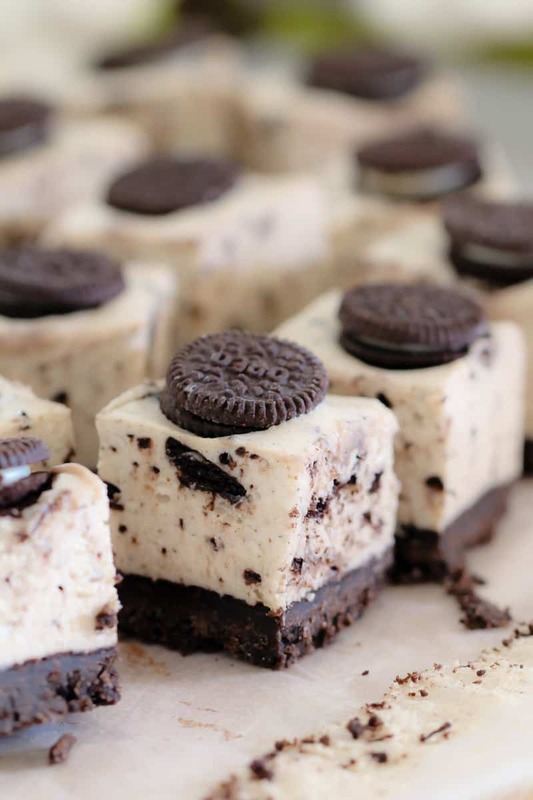 The best ever no-bake Oreo Cheesecake Slice… this is cookies and cream at it’s very best! 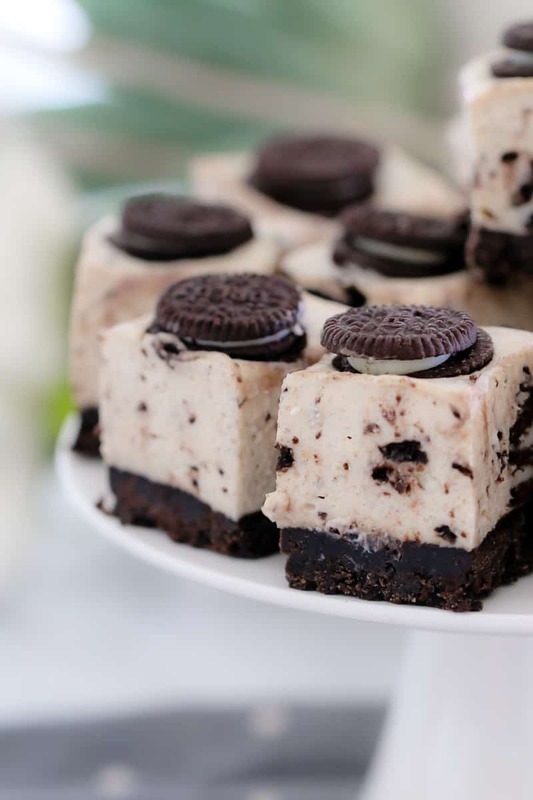 A chocolate Oreo base covered with a white chocolate and Oreo cheesecake filling! Whoop whoop!! 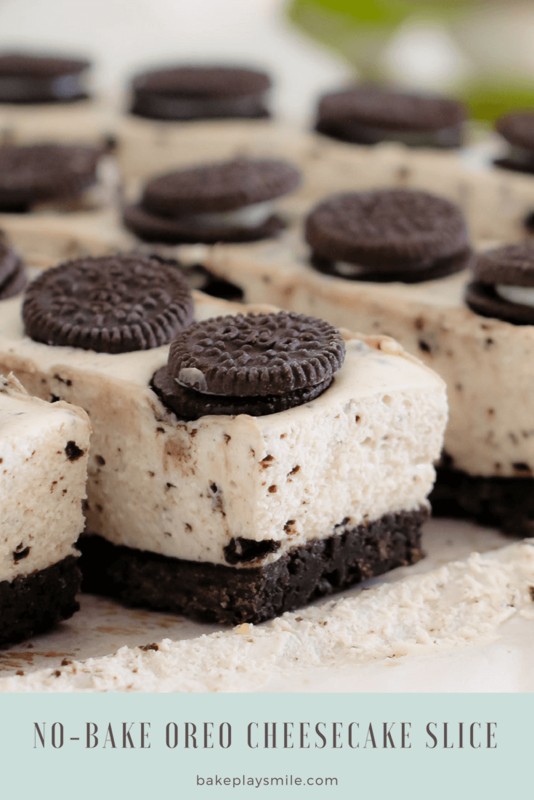 Say hello to the most delicious little no-bake oreo cheesecake slice! This baby is going to rock your world (and make your tummy super happy!). You guys know how much I love cheesecake, right? It’s my number 1 weakness and the dessert I love the most. So when it comes to cheesecake, it’s serious business around here! Ooh and just in case you’re cheesecake obsessed too (which of course you are, because you’re here!! ), click here to check out my collection of yummy cheesecake recipes (they’re so, so good!). Anyway, lets back back to this cheeky little devil of a slice! 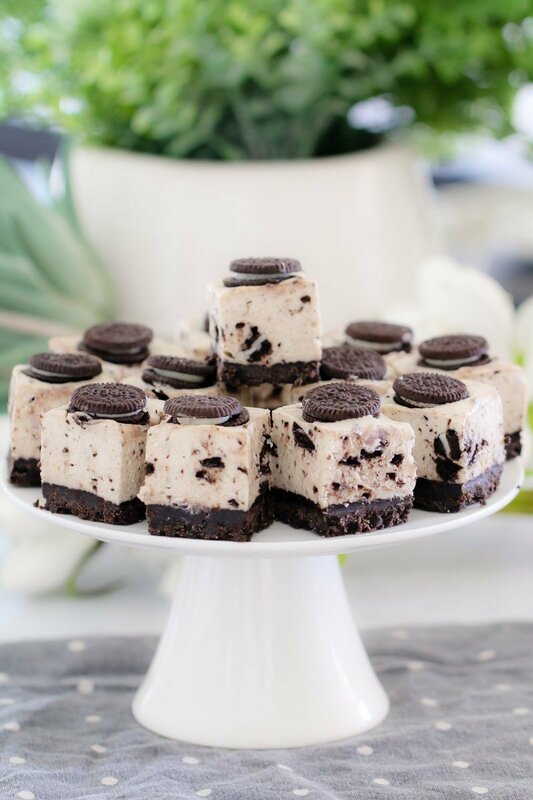 First of all, this Oreo Cheesecake Slice has a super simple base made from crushed Oreo biscuits and melted butter (it literally does not get any easier than that!!). And then there’s that super soft cookies and cream filling. DROOL-WORTHY! 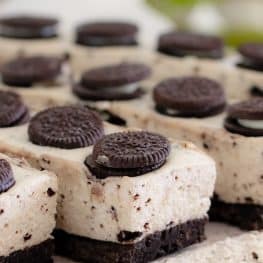 The cheesecake layer is made with a really basic no-bake white chocolate cheesecake mixture and then mixed through with some extra chunks of Oreos. YUM! 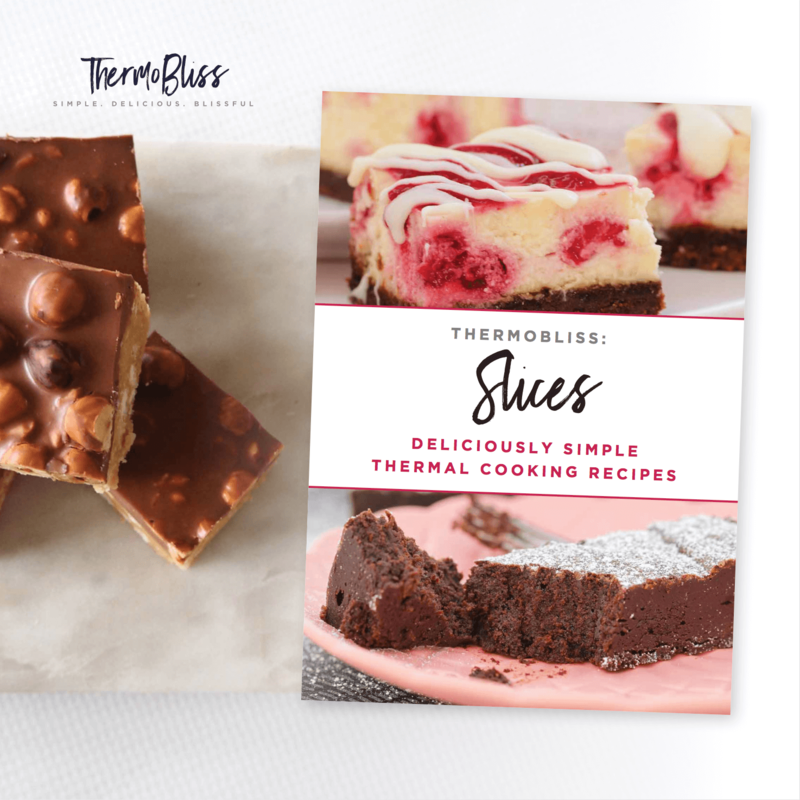 Trust me on this one… you’ll absolutely 100% definitely want to eat a few spoonfuls of the mixture as you go (*best thing ever). 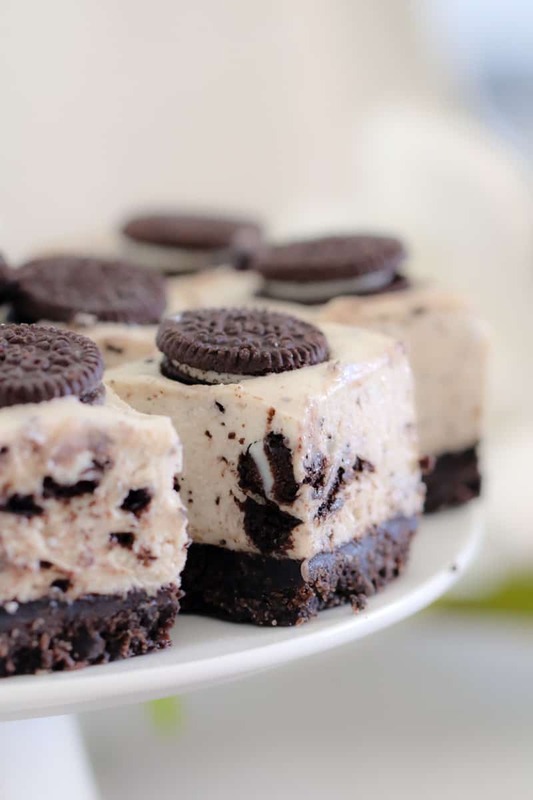 And then to finish off this Oreo Cheesecake Slice, I topped it with mini Oreos (because they’re SO darn cute!!). You could totally leave them off it you prefer (or even do a chocolate ganache layer instead), but seriously.. how cute are they!! 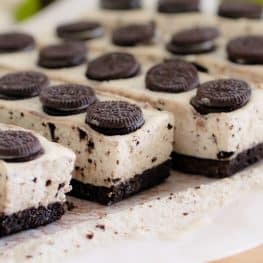 The best ever no-bake Oreo Cheesecake Slice... this is cookies and cream at it's very best! 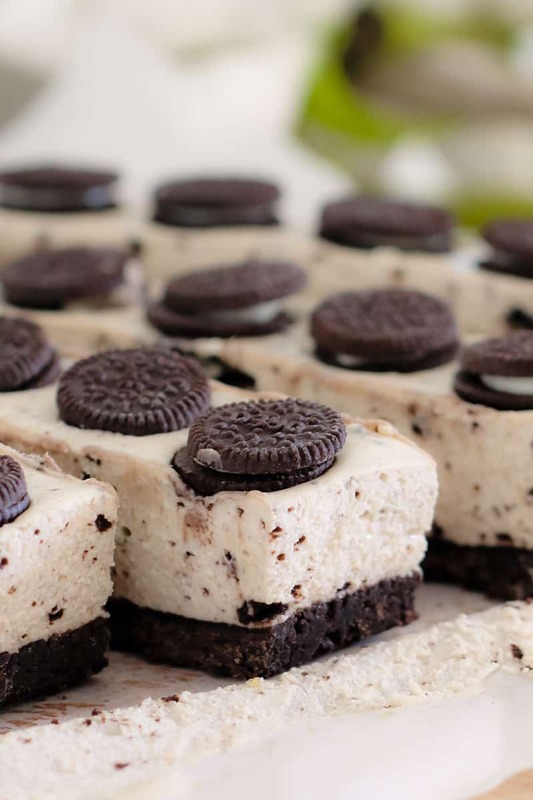 A chocolate Oreo base covered with a white chocolate and Oreo cheesecake filling! Grease and line an 18X28cm baking tin with baking paper and set aside. Crush the Oreo cookies until they resemble crumbs. Mix through the melted butter. Press into the prepared tin and smooth down with a spoon. Place into the fridge. Beat together the cream cheese, caster sugar and vanilla extract until smooth and creamy. Beat through the cream, dissolved gelatine and cooled melted chocolate. 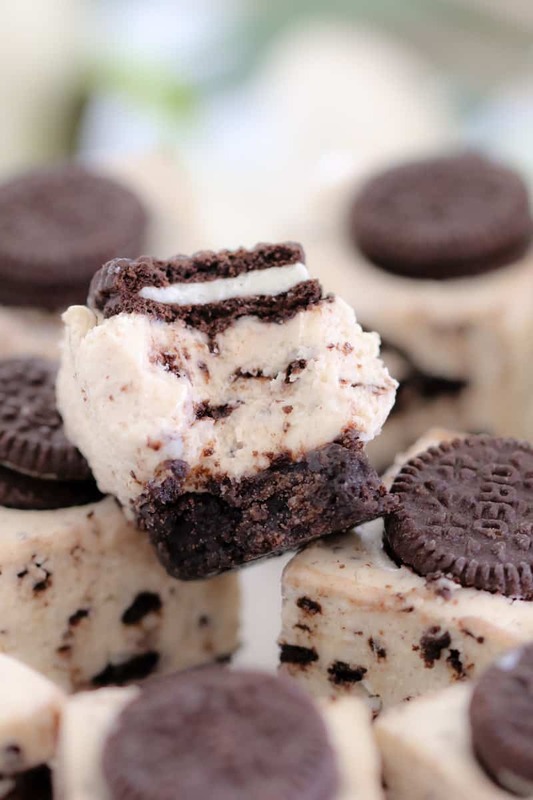 Add a few of the mini Oreos (slightly broken) and mix through with a spoon. Spread the mixture over the top of the prepared base. 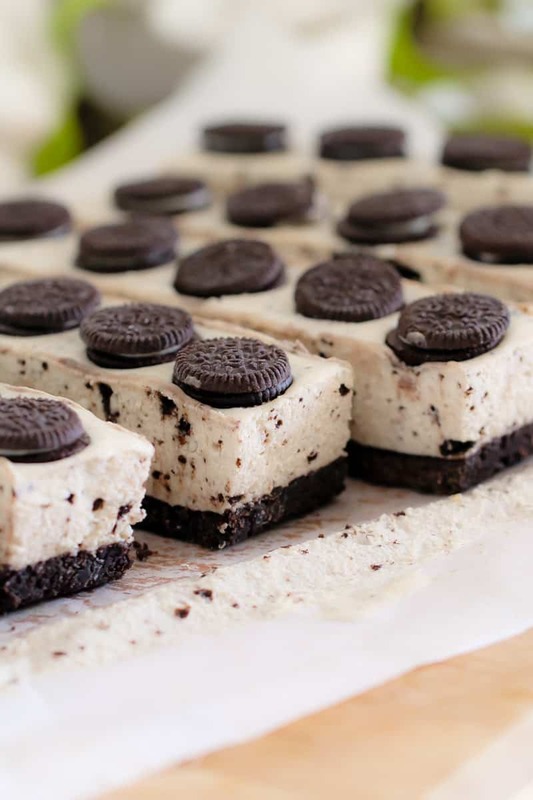 Top with the mini Oreos and place into the fridge for 3-4 hours or until set. Cut into pieces and store in an airtight container in the fridge for up to 1 week. To dissolve the gelatine, sprinkle the powder over 1/3 cup cool water in a small bowl and allow to sit for a minute or 2. Stir. Place the small bowl into a larger bowl filled fill boiling water (do not allow the boiling water into the gelatine bowl) and stir until completely dissolved. To ensure a smooth cheesecake, make sure all ingredients are at room temperature before starting. Place the butter into the Thermomix bowl and melt on 100 degrees, Speed 2, 3 minutes. Add the Oreo cookies and crush on Speed 6, 10 seconds. Place the cream cheese, caster sugar and vanilla extract into the Thermomix bowl and mix on Speed 5, 10 seconds. Scrape down the sides and repeat for a further 10 seconds or until smooth and creamy. Add the cream, dissolved gelatine and cooled melted chocolate and mix on Speed 6, 10 seconds. Add a few of the mini Oreos and mix on Reverse, Speed 5, 10 seconds.